On the heels of the news that the legendary martial arts choreographer Yuen Woo-ping is putting finishing touches on a Mandarin-language fantasy-wuxia film called The Thousand Faces of Dunjia, comes the first English-subbed trailer for the film. And it looks like the Chinese master has an exciting combination of action, fantasy and comedy on his hands here. The film, directed by Yuen (Crouching Tiger, Hidden Dragon: Sword of Destiny) and written by Tsui Hark (Young Detective Dee: Rise of the Sea Dragon), is inspired by Yuen’s 1982 well-loved action comedy The Miracle Fighters, and sees a bunch of intrepid warriors with special abilities come together to save the planet from evil aliens. Both Yuen and Tsui have regaled fans for years, pushing boundaries within the action genre, and the trailer has whetted our appetite to see what these two greats have cobbled together for us with this new film. 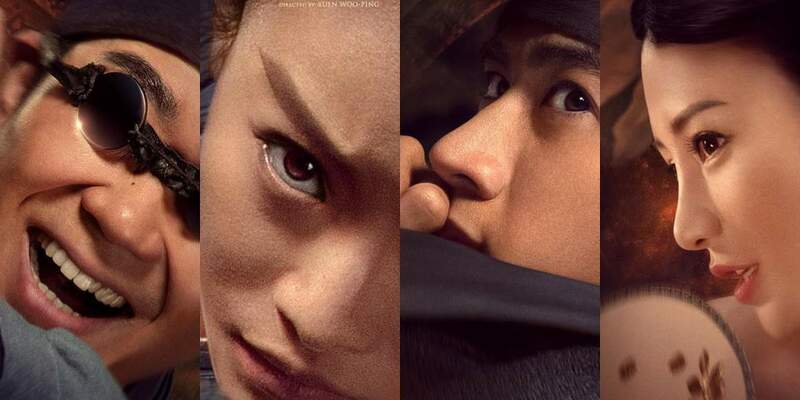 The Thousand Faces of Dunjia stars the Hong Kong actor and singer Aarif Lee, last seen in Jackie Chan’s blockbuster Kung Fu Yoga, and the Chinese actress Ni Ni, fresh from the success of her fantasy-action-adventure film Wu Kong, in lead roles. Also joining the cast are Zhou Dongyu, Da Peng, Wu Bai, Ada Liu, Tiger Xu, Yang Yiwei, Mo Tse, Zhang Yiqian, and the basketball star Sun Mingming, whom many readers would know as the tallest basketball player in the world. The film is produced by Le Vision Pictures, Acme Image, Beijing Jinhui Yinghua and Star Century Picture, and is scheduled for release on the 15th of December, 2017, in China.